We all work and earn money. Do we manage our hard earned money effectively and efficiently? New Year is the time to take resolutions. Why don’t you take a resolution to prioritize and organize your personal finance? Here are the 10 commandments of personal finance that can help you in managing your personal finance better. As a bread winner, you provide a lifestyle to your family. This life style need to be protected with sufficient life insurance cover. Otherwise your family may not be able to continue the same lifestyle in case of any mishappening to you. A word of caution here, don’t fall prey to ULIP schemes. Opt instead for a pure term insurance policy. These policies give you high coverage with low premium. Also cover yourself and your family members with adequate health insurance coverage. The coverage amount of the health insurance policy needs to be decided based on your health consciousness, your family health history, and the class of hospital you choose for treatments. You need to accrue savings for some surprise situations like loss of job, break in job or sudden expenses like a major repair to your car or house. 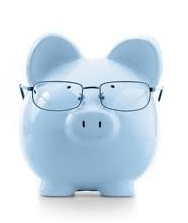 Generally, the emergency fund needs to be in the range of three to six months’ family expenses. If you have created this contingency fund, in the event of an emergency you need not pre-close your other investments and thus you avoid paying penalty or booking losses. If you are in debt, you need to create a debt payoff plan with different scenarios. So that you can find out how some more savings or a different repayment order will help you get out of debt faster. When creating a plan, you need to choose one which fits your attitude. If you don’t know where you are going, you may end up somewhere you don’t want to be. Decide your financial goals first. It may be buying a home, buying a car, or children’s higher education. To get where you want to go in life, it is important to decide in advance how you will get there. What you need is a roadmap, a financial plan to achieve your financial goals. So create a financial plan for you and your family. In spite of the world wide pension crisis and a growing acceptance that we must plan and save for our retirement, the harsh reality is we are actually not saving enough. Research reports reveal that only 15% of the individuals are saving sufficiently for their retired life. Don’t put off today what you can’t afford to do tomorrow. Do your retirement plan TODAY to have a comfortable and enjoyable retired life. In most of the Indian families, the personal finance is something which is not managed by the couples together. It is only one person who manages the personal finance and money management of the whole family. In most of the cases the male partners and in a very few cases the female partners mange personal finance. Only very rarely both of the partners together manage their personal finance aspects. Similarly, if the personal finance is handled by only one partner, then there could be a lot of mismatch between you and your partner in saving and spending pattern. This will lead to misunderstanding and marital stress. Instead of having independent saving and spending plan, having an interdependent plan will help you in managing your money effectively and achieving your financial goals. Suppose the partner, who is managing personal finance, met with an accident and need to be hospitalized for one month or so, then how does the spouse will run the show? In case of emergency, nothing will help except the practice of managing the personal finance together. There are some barriers or objections in involving their spouse in managing personal finance. How to overcome that? My spouse is not having enough time to look at these things. ‘No time’ is a false excuse. If it is one of your priorities, then definitely it will somehow find its time. Only thing is you have not realized it as one of your priority. Personal finance is definitely a priority item for each and every family because it is going to secure your future. My spouse is not interested in personal finance. Everyone is interested in their own future and their kid’s future. So logically everyone needs to be interested in personal finance. You need to motivate them and make them understand, how this personal finance management is important in achieving their life goals. Overcoming the barriers in getting your spouse involved in personal finance management and getting them involved will be a life transforming exercise. Don’t miss it. Together you will be able to achieve your life goals easier and sooner. The willingness and the ability to save money is the secret of building wealth. So as to save money, you need to spend less than you actually earn. Though it looks very simple when you say, it is really difficult to implement. 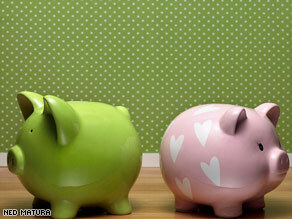 There are plenty of ways to help you start saving money even on the very tight budget. Saving money or spending less is all about the personality, belief system, values of a family. Spending less and saving more are lifelong living skills that need time to develop. Unless and otherwise, you have a written financial goals, you will lose your focus and go after consumerism and materialism. To save more, obviously you need to spend smarter. To spend smarter, you need to understand you own spending patterns. Consciously you need to track all your expenses on a daily or weekly basis. So that you will be able to find out what influences your spending pattern. Spending money has got so many influencing factors. But all these influencers can be classified into five broad spending influencers. Your emotions play an important role in your spending pattern. The positive feelings like happy, fun, joy can influence you to spend more on entertainments and gifts. The negative feelings like envy, jealous, shame, stress, depression, frustration can influence you to spend more on smoking, drinking, buying things you actually don’t need, relaxation and healthcare. This is because of you belief system and your thought process. I need to buy a silk saree every year for my wedding anniversary. I have to bust crackers for diwali. These are all the classic examples of how your traditional thoughts will influence your spending pattern. Society in which you live will have more influence on your spending. You have to buy a car as all your colleagues are coming to office in their own car. On the occasion of your kid’s birthday, you need to arrange gifts for all the classmates of your kid. You should be watching this movie, on a first day first show. This influencer is caused by friends, colleagues, neighbours, relatives, and club members. Even at times, the advertisements and promotional offers like a discount sale can make you to spend more. Habits formed when you are growing up can make us spend impulsively. Generally this will be for our sensual pleasures. Spending on movies, music, eating out, smoking, drinking are the best examples for this influencer. This includes paying off your debts and loans, commitments towards family like school fees, buying groceries and other provisions, paying rent, paying for medical insurance. You are committed to pay these expenses earlier. Instead of spending money, you can control your emotions by doing something else like doing yoga or meditation, watching comedy shows on TV, going to temple or beach. You need to solve the root of the emotion. You have to do introspection and need to keep a balanced mind always. Balanced mind is a key for spending smarter. You need to consciously change your thought patterns to come out of traditional thinking. “I don’t really need a saree for every wedding anniversary”. “I am not a kid; so I need not bust crackers on diwali”. These kinds of auto suggestions will change your thought process and you will be able to really prioritize things on which you spend. The unwanted habits which make you spend more can be unlearned. Good habits which make you spend smarter can be learned. Habits can be learned and unlearned. But you need to know it is not a quick fix. It involves a process and a commitment. A habit is an intersection of knowledge, skill, and desire. Knowledge is ‘what to do and the why’. That is we need to spend less to save more and become richer. Skill is ‘How to do’. That is ‘how we spend less and what are all the strategies to be applied for spending less’. Desire is the motivation, the want to do. What are we trying to achieve by spending less? How that is more important to us than spending more. In order to make something a habit in our lives, we have to have all three. You can’t avoid certain commitments like groceries, schools fees. But definitely you can discontinue unwanted commitments like the club membership in which you are not actively participating and not getting any actual use out of it; the chits impulsively you have enrolled with a jewelry shop. Money not spent is saved. These above strategies will only work if you truly have a desire for future financial success. You need to be disciplined and persistent in the course of implementing these strategies. The more you practice smart spending, wealthier you become. In spite of steady, regular income there are so many individuals who live paycheque to paycheque, carry their credit card outstanding, and fail to save anything for retirement. If you are one of them, now is the right time to take action to come out of debt and stay out of debt. It is not only possible; it is unbelievably achievable. You need to take stock of all your loans. It could be credit card due, personal loan, car loan, housing loan, education loan, loan from FD, loan from insurance policies, loan from your employer, hand loan and so on. For each and every loan you need to note down how much you owe, the present interest rate, EMI, Number of months to be paid. If you could negotiate the interest rate and bring it down then you can come out of debt faster. Most of the credit card companies come forward for negotiation if you really show interest in repaying. They need not run after you to collect the debt. It will reduce their expenses. So they will be happy to negotiate. Balance transfer offers from credit cards are also a way to reduce your interest rate. Replacing a loan with another is known as Refinancing. By doing a refinance it should reduce your interest rate and it should bring down the time you are in debt. But most often people go for refinance that provide them lower EMI but increasing the time they stay in debt. Housing loan can increase your net worth over a period of time. Housing loan gives you tax benefit also. For a business man car loan provides some tax benefit. Based on these factors a debt needs to be categorized. This will help us in comparing different loans. After sorting out various loans, now we can comfortably prioritize the loans. Obviously this will be based on the interest rates and tax benefits. At times paying off a small loan first can give you a lot of motivation to get out of debt. You need to create a debt pay off plan with different scenarios. So that you can find out how some more savings or a different repayment order will help you to get out of debt faster. When creating a plan, you need to choose one which is comfortable to your attitude. Otherwise, you may not execute it properly. You need to make a vow that you will not be adding any fresh loans, till you come out of all your debts completely. Think for a moment, how you will feel when you become debt free. This will give you a lot of positive energy to come out and stay out of debt. Buying a property or any other assets need to be postponed till you get out of debt. With your new ownership comes the new, probably large and unpredictable expense. This can make you deviate from your debt pay off plans and at times the consequences could be uncontrollable. There are two groups. One group of people uses the credit cards responsibly. That is they will repay the credit card dues in full when they receive the bill. The other group will pay the minimum amount due and carry forward the balance amount due. If you belong to the second group, you need to stop using credit cards temporarily. Take out and keep your credit cards in the locker. Once your financial situation and buying habits improve, then you can start using your credit cards again. Being in debt obviously means that you have been living beyond your means. The solution is very simple. Spend less than you earn and you will get out of debt soon. You need to change your spending habits. Then only this simple solution will be achievable. If you buy things you don’t need, you’ll soon sell things you need. Don’t save what is left after spending; spend what is left after saving. You need to inform all your family members and dependents about your debt status. Then you will be able to take decisions with much more clarity. Moreover, if your family members know about your debt, they will also change their spending habits and support you in getting out of debt faster. Consider the postage stamp: Its usefulness consists in the ability to stick to one thing till it gets there. Similarly, you need to stick to your debt pay off plan till you get out of it.